Do I have an amazing giveaway to share with you! 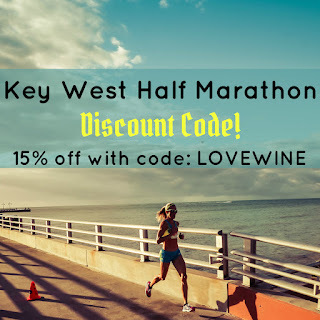 My friends at Key West Half Marathon and 5K have given me an entry to BOTH their Half Marathon and 5K to giveaway to two readers. This is a great opportunity for anyone looking to run one of Runners World Magazine top 10 Destination Races. Click here to enter the contest through Instagram! I will be running this event with my best friend Keri and former roomate Tara. It will be an epic girls weekend for sure and I look forward to sharing details about our event planning soon. In the meantime, here is some updated information on the event! I love this medal! When I first signed up for the event, I thought we would get wine bottle medals like the past, however, this one is so much better than I expected. Plus the lighthouse lights up every two seconds. How awesome is that?! 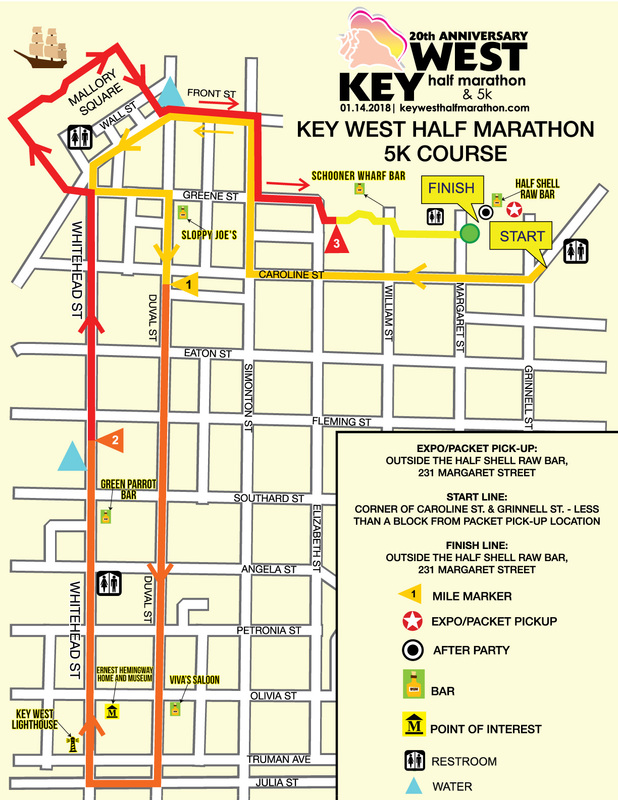 Mile ) and the Southern Most Point are also highlighted - and it wouldn't be very Key West without a rooster. The 5K medal is a smaller version of what you see below - it doesn't light up but is an amazing 5K medal to add to your collection! As of the date I wrote this post, you can get tickets from Orlando and Tampa to Key West for less than $200 a person. Come party with us! 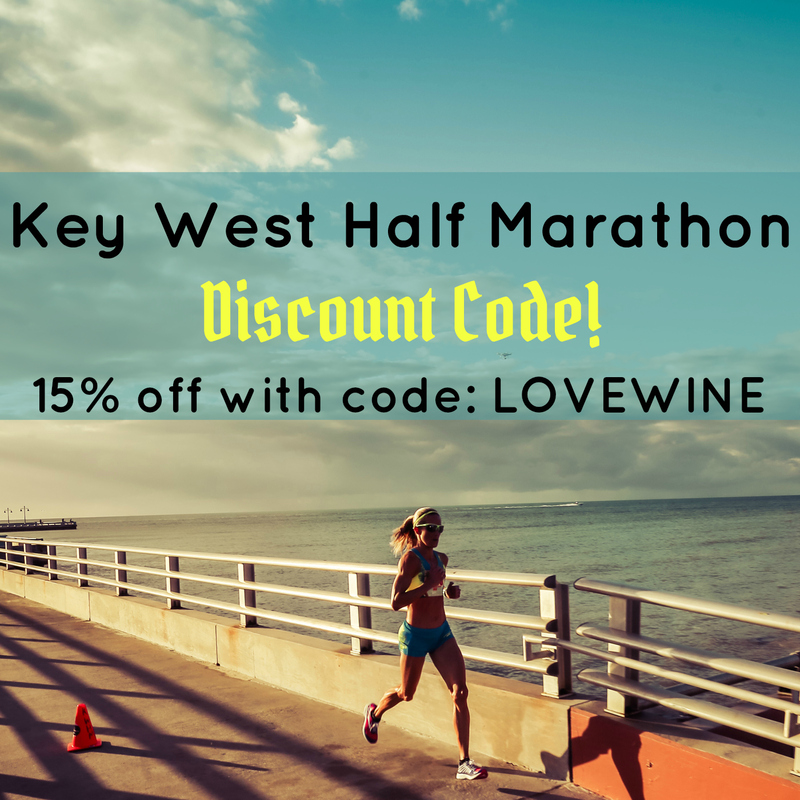 If you aren't one of the lucky readers to win an entry, you can still save 15% on by using Key West Half Marathon Coupon Code: LOVEWINE. Click here to register. 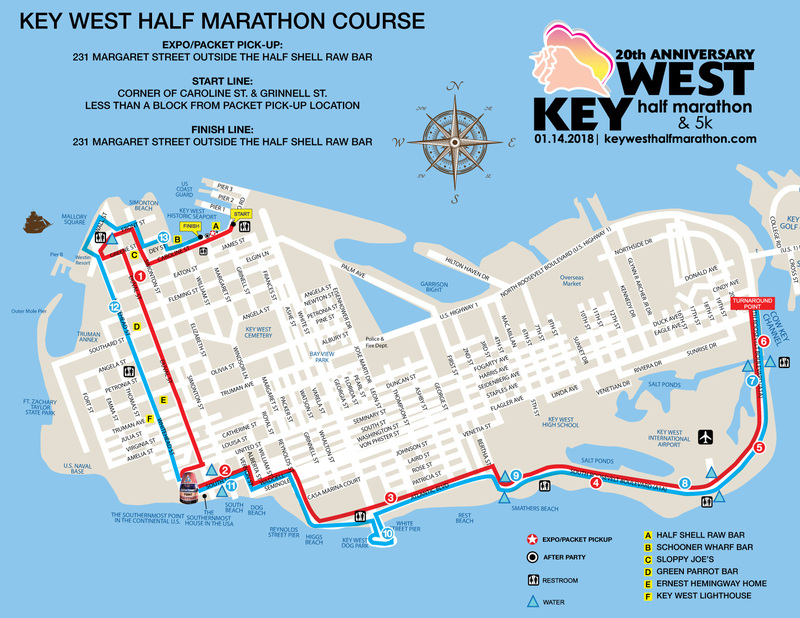 Key West Half Marathon - 2017 Promo from Vantage Point Aerials on Vimeo. 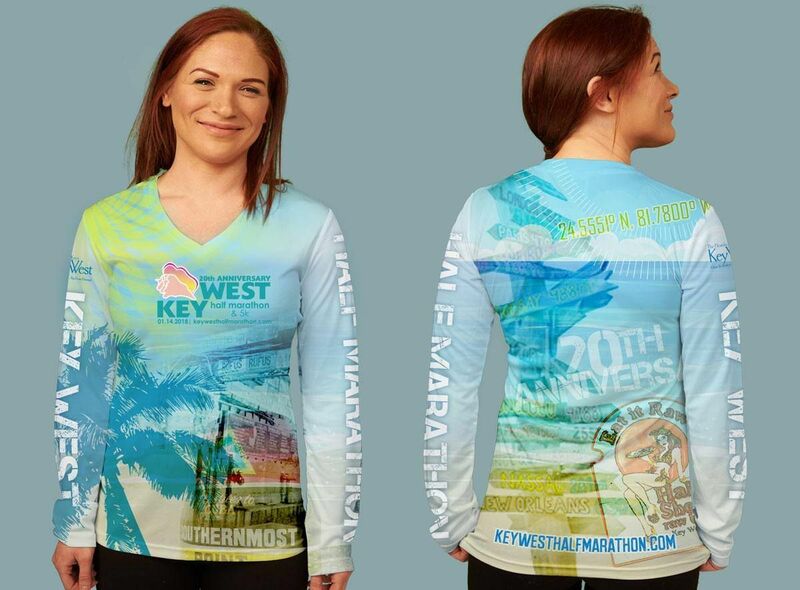 All runners who sign up for the 5K and Half Marathon will receive these amazing gender specific dry fit shirts. I have more race shirts than I know what to do with but this is one I will proudly wear! I love that the back has the city directional sign on it and you can vaguely see New Orleans, which is my favorite city in the US! 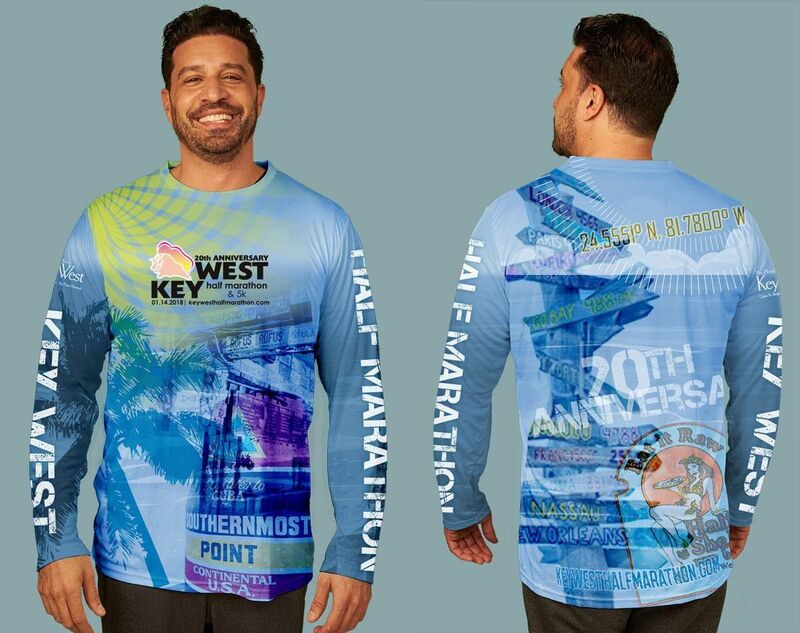 I have had a few friends run Key West Half Marathon before and have heard stories of spectators handing out beer, mimosas and shots along the course. There will be entertainment and the amazing volunteers encouraging you along the way. 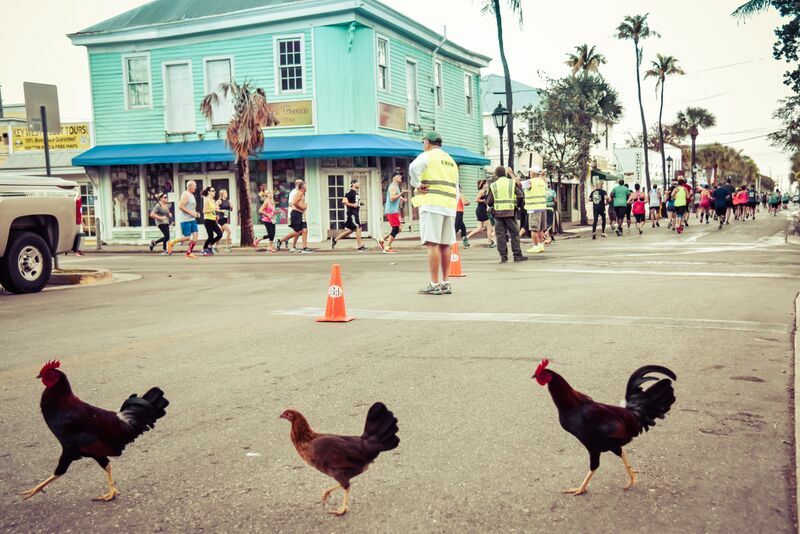 Plus you have all the key west roosters cheering you on with their crowing. Half Shell Raw Bar: $5 Bloody Marys and Mimosas Race Day ONLY starting at 7 AM. 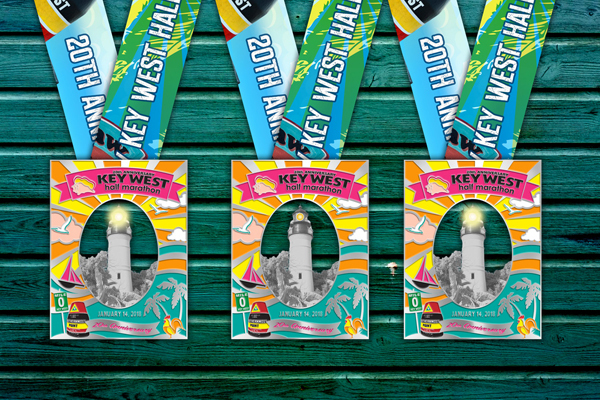 Key West Half Marathon is known to have one of the best race after parties ever. I mean, it is Key West - so this should be expected, right? Free beer, food and raffles plus a concert with Howard Livingston and the 24 Mile marker Band! I can guarantee you we will be there partying after our 13.1 miles.